In less than a century, the jumble of shabby tents and lean-tos that constituted Johannesburg’s first settlement has grown into a modern metropolis of towering office buildings, high-rise apartments and sprawling suburbs. Its rapid development has been in no small measure the result of the fabulous wealth that lay in the goldrich deposits of the now-famous Witwatersrand basin. The story of gold is also the story of Johannesburg, and in a fascinating series of photographic juxtapositions, Johannesburg Then and Now chronicles the city’s expansion from dusty mining camp to economic powerhouse. Rare archival photographs, dating from the 1880s to the 1940s, are contrasted with vivid scenes of the modern city, providing a hitherto untold portrait of the Place of Gold. Where possible, the modern-day photographs have been shot from the same locations as the originals. Detailed captions provide fascinating comparisons between the old and the new, while also illuminating features that have remained the same. 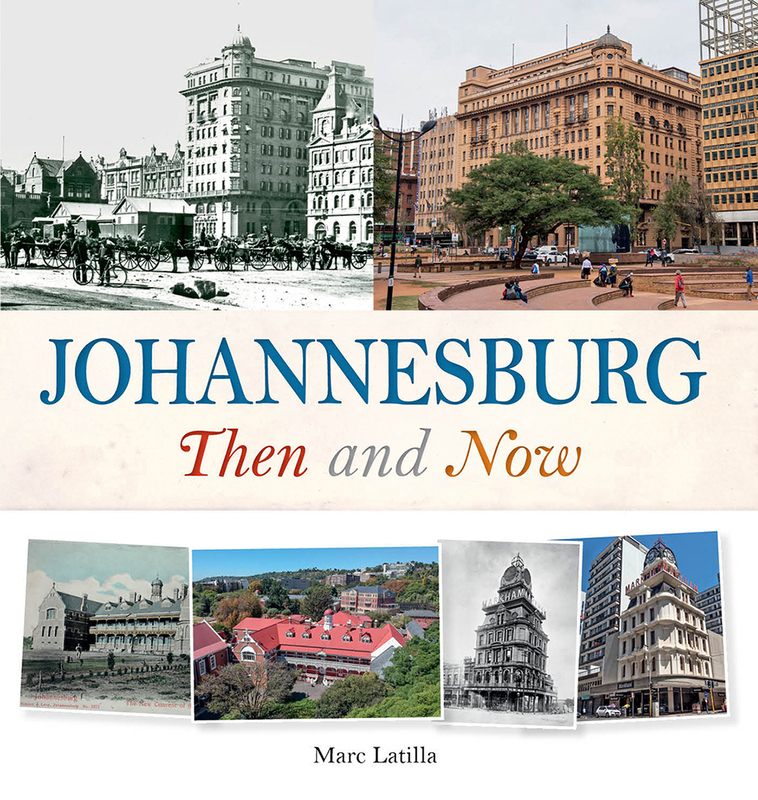 Johannesburg Then and Now is a superb collection of images and text that will delight both local residents and visitors.